Ready to put your Ario together? Follow this step-by-step guide. Screwdriver recommended. 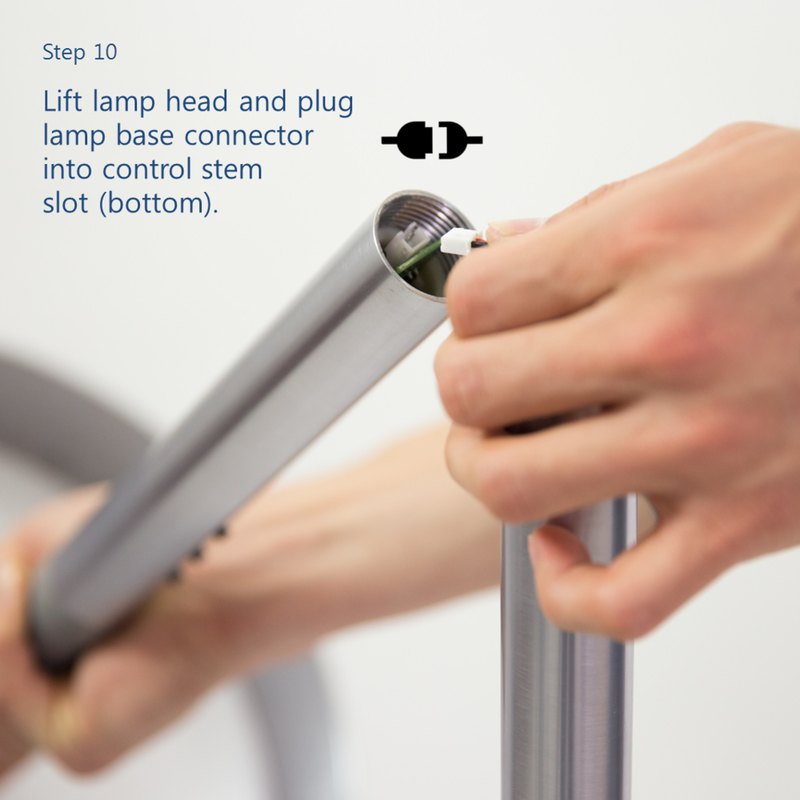 This guide is for a floor lamp. 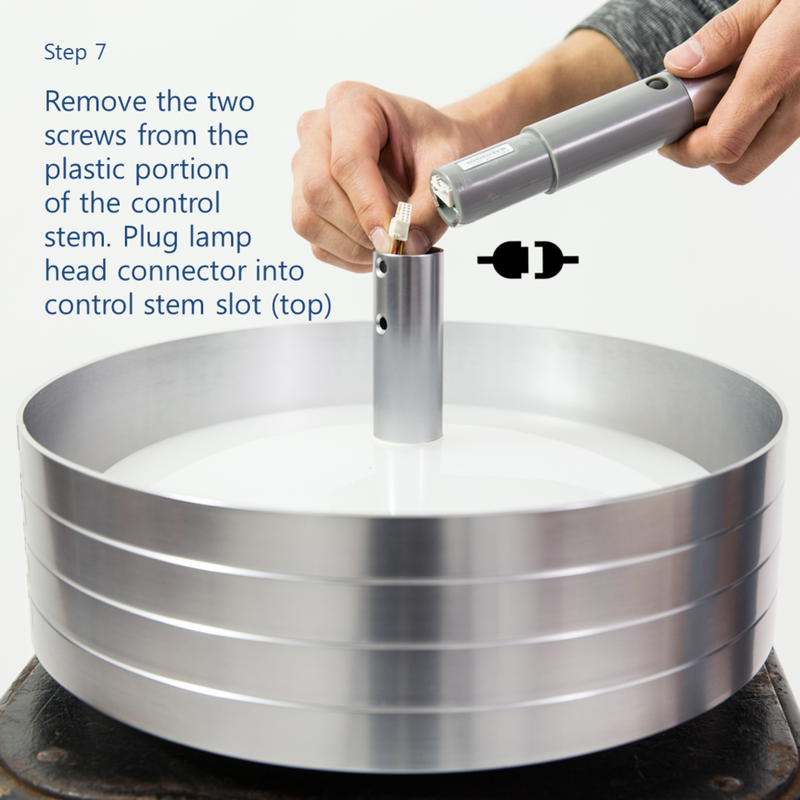 If you want a table/desk lamp, simply skip steps 4 and 4.5. Now that you've got your Ario put together, here's how it works. Click the Power button to turn Ario on. Hold the Up and Down buttons to change Ario's brightness. To adjust your Ario's color temperature, you can change Ario to Color Mode by holding the Power button for 3 seconds, and then using the Up and Down buttons. Hold the Power button for 3 seconds to switch to Color Mode. Hold the Down button to decrease the color temperature. A solid orange means your Ario is in Color Mode. To get into Color Mode, hold the Power button for 3 seconds. To get out of Color Mode, click the Power button once. When you press the Up/Down buttons Ario will change its color instead of brightness. A flashing blue means your Ario is in Pairing Mode and ready to connect to WiFi. 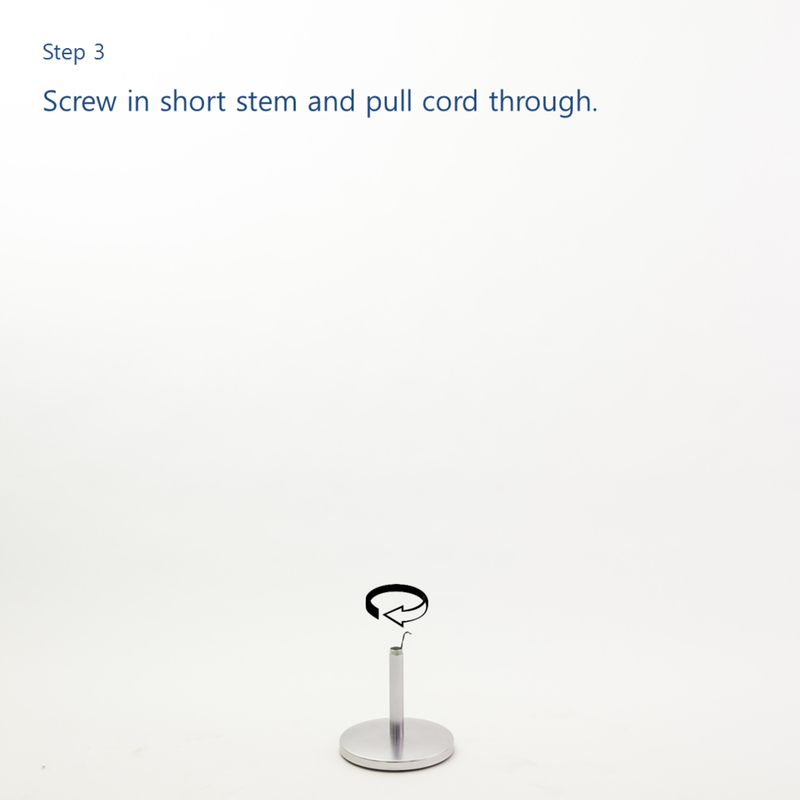 To get into Pairing Mode, hold the Power button for 10 seconds. Open the Ario app on your smartphone to connect Ario to WiFi. A flashing green means your Ario is disconnected from WiFi. To disable WiFi altogether, click the Power button once and then click and hold for 3 seconds. Ario will still work even when it's not connected to WiFi. A glowing cyan means your Ario is connected and healthy! The glowing cyan will stop after a short time and turn dark. Use the Ario smartphone app to control Ario and use advanced settings. 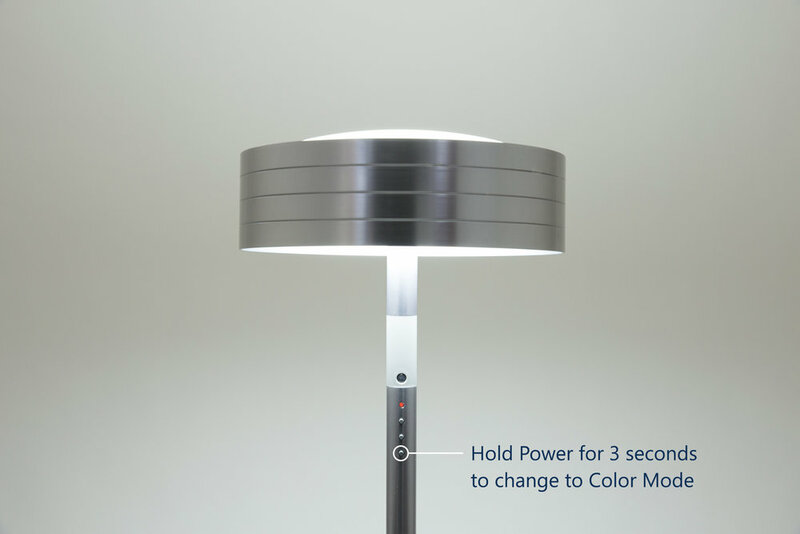 Ready to experience even more of Ario's healthy lighting features? Make Ario your own by downloading the Ario app on the Apple App Store or Google Play Store onto your smartphone. Congratulations on your choice of the healthiest lighting system on earth.